ItalyPokerDeals offers a 30% flat rakeback deal at WinBetH24 Poker (Dollaro Poker Network). WinBetH24 Rakeback will be paid in your Skrill / Neteller account, around the 5th of every month, for your activity in the previous month. In Dollaro, a month is considered (for rakeback calculations) as the timeframe between the last Sundays of 2 consecutive calendar months. For example, Dollaro October 2018 is between: 01.10.2018 - 28.10.2018. WinBetH24 Poker is not offering any Welcome Bonus. WinBetH24 Poker is not offering any Promotions. - NLHE 6max up to €3/€6. NLHE HU up to €3/€6. - PLO 6max up to €3/€6. PLO HU not available. SNG and MTT action is very low. - recreational players (Dollaro network accounts can be rented in internet caffees in Italy). 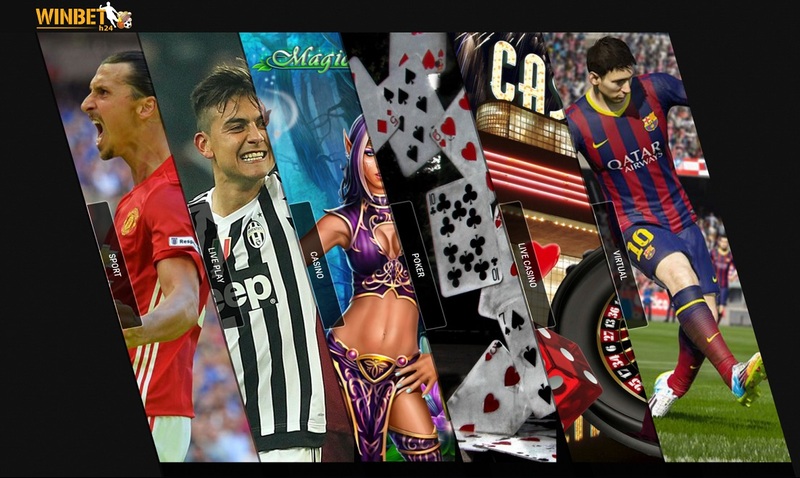 - gamblers from sports betting (WinBetH24 is offering casino, virtual games and sports betting). 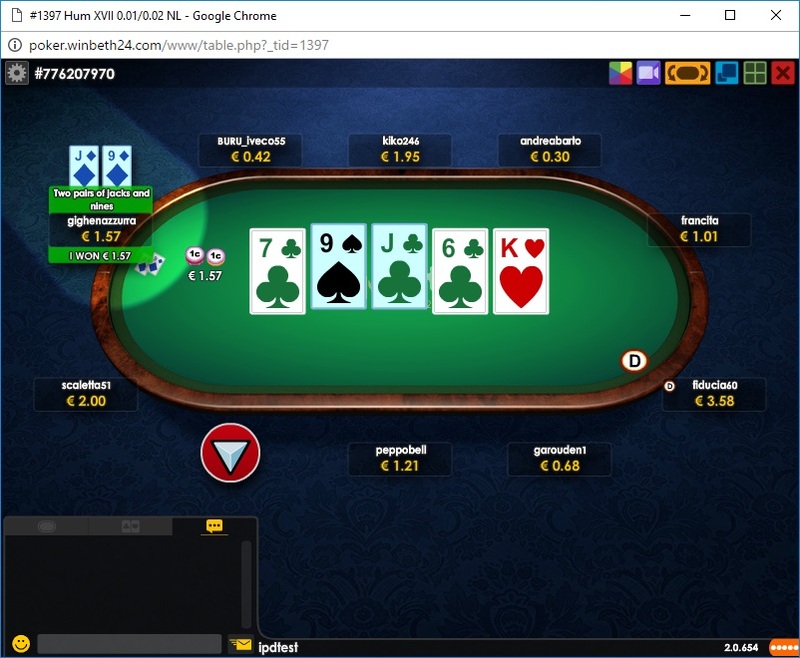 - Italian poker players (Dollaro is the oldest network which had Italy as main market and it is well known in this country; Italians are renowned for the amounts of money they constantly lose in online poker games). Because of the problems Dollaro Network had in the first half of this year (2016), a lot of Dollaro skins shut down and most of the regulars on this network stopped playing. Since there are very few reliable Dollaro deals nowadays, the fish vs regulars ratio is very high, so the games are very profitable. WinBetH24 is not asking for accounts verification, therefore there is no need of real data accounts, we can use random data accounts. WinBetH24 is not offering any direct registration link for the moment, therefore all accounts will be provided by ItalyPokerDeals. WinBetH24 accepts customers from any country excepting USA. In case anything will change in this regard, you will be informed. But it is your duty to check if your country legislation allows you access this poker room. 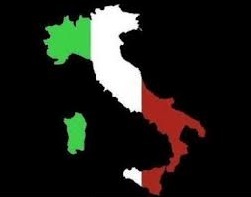 All transactions will be made via ItalyPokerDeals since Dollaro do not offer direct cashier. - you will have to send the money you want to deposit to one of our EUR Skrill / Neteller ewallets and we will credit your Winbeth24 account. - you can request 1 withdrawal per month and you must inform us before the last Sunday of the month. - your Dollaro withdrawal will be paid around the 15th of the following month. - on WinBetH24 website go to USER ACCOUNT / WALLET section. - transfer from SPORT wallet to DBG POKER wallet the amount you want. - on WinBetH24 website go to POKER section and launch the lobby (Poker2D, Poker3D, Poker3DLive). - in the poker lobby go to CASHIER and transfer from MAIN BALANCE to GAME BALANCE. Every month, please make sure you move your entire balance to WinBetH24 SPORT wallet, before the last Sunday of each calendar month. After the last Sunday of each month, poker will be stopped for 1-2 days for the monthly calculations between our agency and the skin. When initiating the transfer from POKER to SPORT, you may receive the following warning message: "The insterted amount exceeds your deposit limit in the selected wallet. Want to send an authorization request?". Accept the request because this is the standard procedure in WinBetH23 skin. After some time (from a few minutes to a few hours), money will be transferred to SPORT wallet. - You can play cash games up to €1.00/€2.00 only, in both NLHE and PLO. If we do not comply to this rule, Dollaro will not pay your winnings and rakeback. This restriction will be lifted in the future and you will be allowed to play all available stakes. It is also possible that Dollaro put similar restrictions and in case this happens you will be informed. - Bumhunting is not allowed. If you break this rule, Dollaro will not pay your winnings and rakeback. - Collusion and Chip Dumping are not allowed. If you break this rule, Dollaro will confiscate your balance. 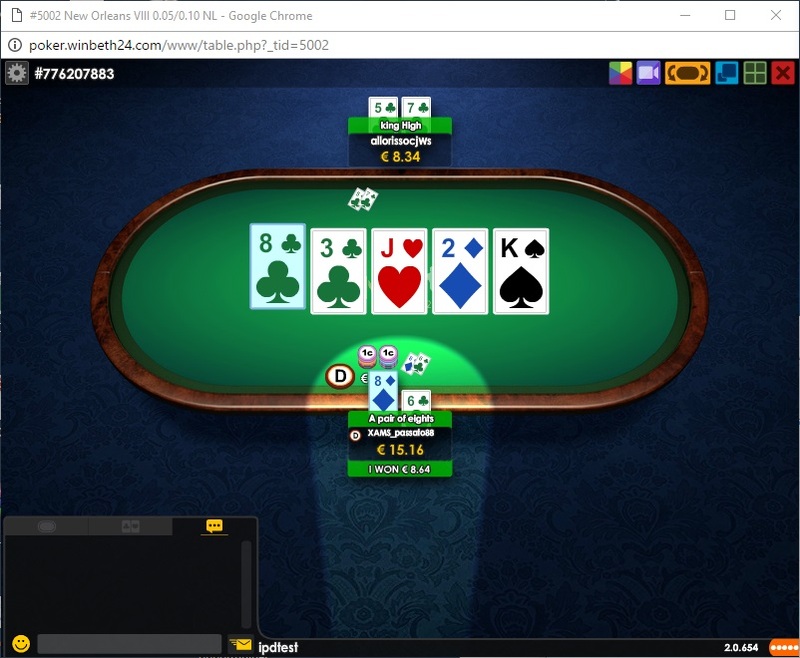 If you have money stuck on Dollaro accounts from other affiliates / skins, do not try to transfer it at the poker tables. Contact us and we will try to help you get it back. WinBetH24 is one of the main skins in Dollaro Network, also known as DBG Poker. Besides Poker you will find Sports Betting, Casino and Virtual Games. After the changes that took place in Dollaro company in the summer of 2016, a lot of Dollaro skins shut down. 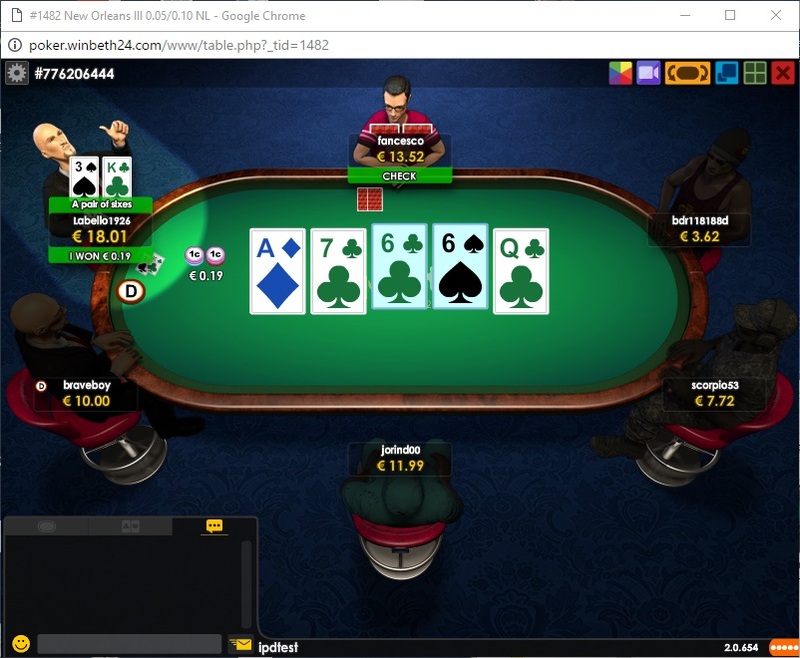 WinBetH24 is one of the very few skins which have a very good cooperation with Dollaro Network and have a decent approach towards online poker business. The soft poker games and the rakeback you get from ItalyPokerDeals, make WinBetH24 one of the most profitable options for an online poker player. More information about Dollaro network can be found here. In order for Holdem Manager / Poker Tracker to import WinBetH24 hands history, you will need additional support from a hand grabber. A hand grabber is a software which extracts hand history from the poker tables and converts it in a format that trackers can read. 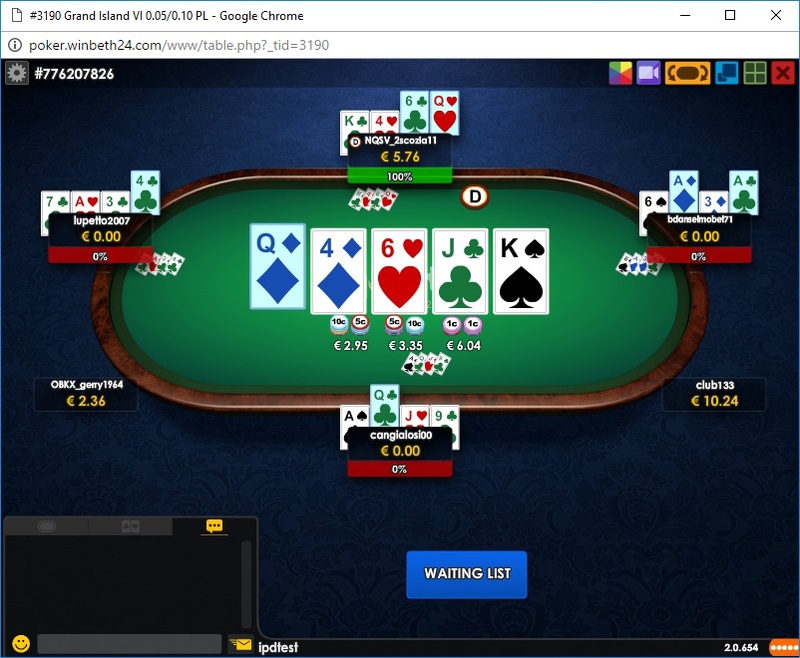 The lobby and the poker tables will be accessed from your browser, since there is no downloadable client available in Dollaro Network.